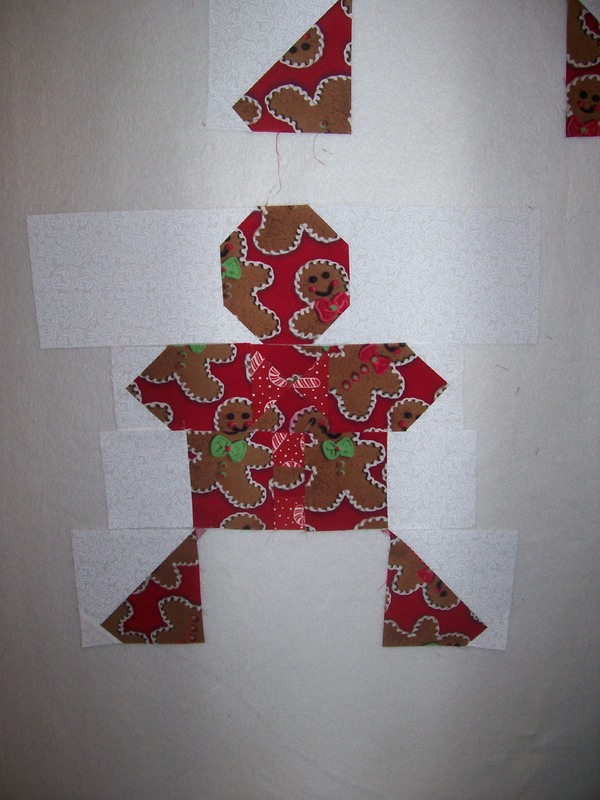 I am working on my gingerbread man and none of my block are coming out right, side are long and some are short. 1 - 1/4 - 1/2 - 3/4 - 2. Can some one tell me where the 1/8th marking should be. Thanks in advance for your help. My favourite rulers are Omnigrid. They have nice little 1/8 marks highlighted in yellow all along the sides. If your ruler only has 1/4, 1/2, 3/4 marks then the 1/8ths would be halfway between each of the marks. I have Omnigrid rulers also. Thanks for the help. Will recut when I get off work tonight. Very interesting site. Thanks a bunch. Looks good to me. 1/8" is 1/2 way between even inch mark and 1/4" mark. I hope this is clear and easy to understand. Okay, I know what everyone means to say, but technically 1/8 is only between 0 and 1/4. 3/8 is between 1/4 and 1/2. 5/8 is between 1/2 and 3/4. 7/8 is between 3/4 and 1. I don't remember any problem putting any of mine together. I am hand stitching, and marking each seam etc so I wonder if I just fiddled and didn't realise. I have a Creative Ruler also, but not the size you have. Mine is marked for 1/8. Maybe you could put it beside one of your rulers that does have the 1/8 marked and draw a little line with a Sharpie marker. Good luck, I know that is frustrating. P.S. Thanks for the woodzone site, my son is about to take a carpentry class and this might come in handy for him. Last edited by CindyA; 07-19-2013 at 10:43 PM. Ok, I get it. Never really new where the 8ths fall. Thanks to all for the help. That is a good idea. I was going to use masking tape to mark it. Thanks! I have the Creative Grids rulers, and they all have the 1/8 inch markings, and use them constantly.